If you’re looking for high quality and the best Carpet Cleaning Austin has to offer, you’ve come to the right place. At Oxymagic of Austin we’ll give you the attention and personal service you’ll come to expect and enjoy. We offer the best in carpet,rug and upholstery cleaning. Oxymagic of Austin has been located in Leander, Tx since 2006 and nationally since 1998. Let us put our carpet cleaning experience to work for you. Call for details or to reserve one of our limited spaces available! No matter where you live near Austin… Oxymagic is the company to call when looking for carpet cleaners in Austin, Cedar Park, Leander, Georgetown, Round Rock, Lakeway, Liberty Hill or Lago Vista, Texas. Your carpet will be dry in 30 to 90 minutes! Your carpet dries softer, not hard or crunchy like other carpet cleaners. A safe Ph balanced cleaner that’s non-toxic, biodegradable and safe. This is a better carpet cleaning experience. From the moment an Oxymagic technician arrives at your home, you’ll know “this cleaning is going to be different!”. Our technician will review your work ticket with you & inspect the rooms for cleaning. Any spots/stains will be pre-treated using our advanced cleaners. 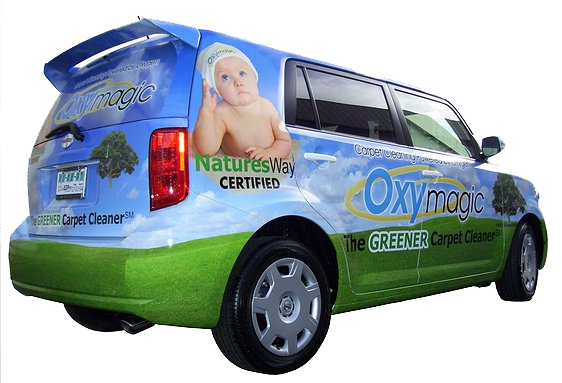 The Exclusive Oxymagic Safe, Non-toxic, Natures Way cleaner will be applied. Our cleaning machine uses dual cylindrical brushes that go deep down into the carpet pile and lift the dirt out. Our machine also uses powerful suction to remove the dirt and grime. Your carpet will be clean, dry, and ready to use after 30 to 90 minute average dry time.